In-kind donations of material and labor are always welcome. Many home sponsors will solicit in-kind donations to support the fund raising effort for the cost of the sponsorship. Other groups simply have access to contractors who would like to use their skills on the Habitat home. In-kind values vary and are determined by Habitat based on the cost savings we obtain. An in-kind donation is a service or product needed to complete the home. We have a list of all items that are currently used to construct our home designs – “Material Take Off” sheets – which are available to you if you plan to solicit in-kind donations. Materials and donations must conform to this list. Home styles are listed in the material take off sheets. The list of materials can vary on different house styles. Please contact the Development office for a copy of the material take off sheets. 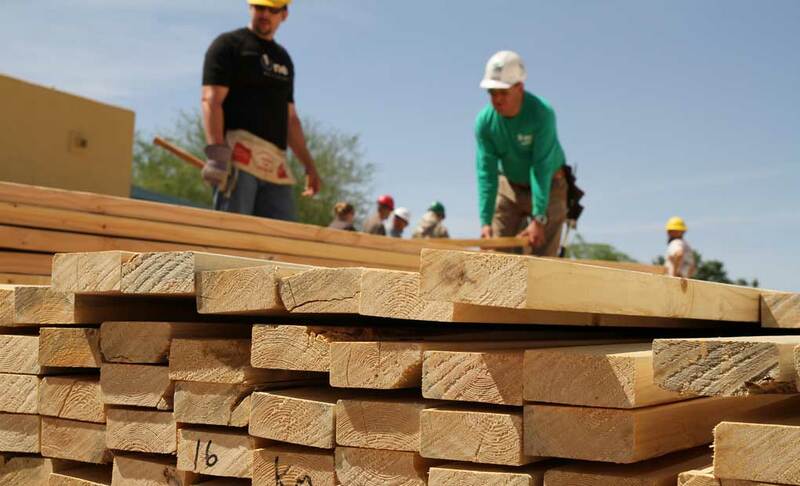 For more information on how to support Habitat for Humanity through construction in-kind gifts please call the Donation Line at 602.268.4266 or email us through our contact form. For questions regarding donations, email us using the contact form at right.